One of the most difficult and often overlooked aspects of moving into a supervisory or management position is developing the skills necessary to truly manage people. Without intentional training, many new managers are left to figure things out on their own – for better or worse. 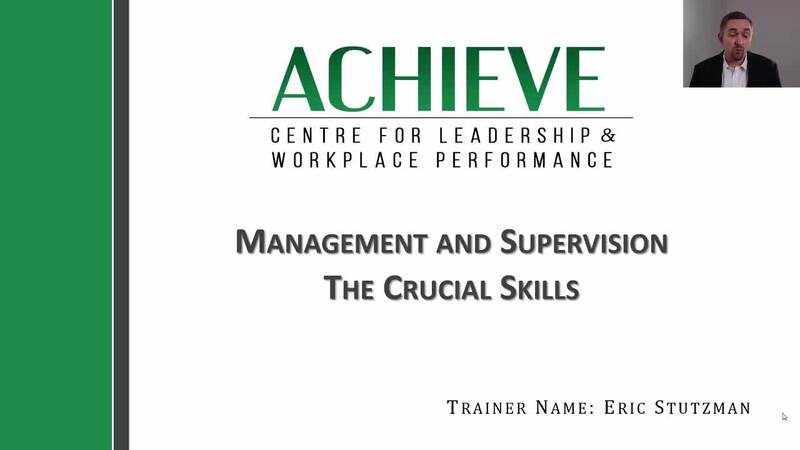 Like all skills, effective management and supervisory skills must be learned. This webinar presents the crucial skills for managing employment relationships from beginning to end, with particular focus on hiring and performance management. Viewers will also consider how their communication and personal approach to management affects the people they lead.